Since 1975, CENTURY 21 has been dedicated to Canadian families. While technology and real estate markets have changed, the CENTURY 21 community-focused culture has not. Our agents and brokers are dedicated to improving the lives of others and establishing genuine, lasting connections with their local communities. Every year, CENTURY 21 agents and offices across the country donate their time and money to improve and support their local communities. In addition to supporting local organizations, CENTURY 21 is also a national sponsor of Easter Seals Canada. Easter Seals supports over 100,000 families, touching the hearts of thousands of people living with disabilities across the country. They are dedicated to enhancing the quality of life, self-determination, and self-esteem of these children, encouraging them to participate fully in society and experience the everyday adventure of being independant. 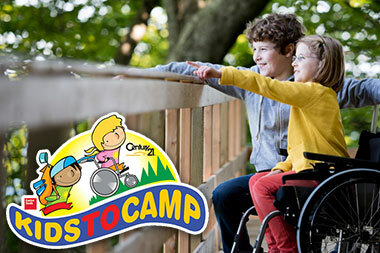 In partnership with Easter Seals Canada, CENTURY 21 launched the Kids To Camp program in 2009. Since then, we have sent over 800 children living with disabilities to one of 16 fully-accessible summer camps run by Easter Seals across the country. Here, these unique children get to meet other kids just like them while immersed in all the traditional camp activies, including canoeing, climbing, sports, and more. At the Easter Seals summer camps lifelong friends are made, treasured memories are created, and – more importantly – these amazing children get the opportunity to take on adventure and seize their independance. All while having the time of their lives. Since 1979, CENTURY 21 has raised over $106 million in funds for Easter Seals. 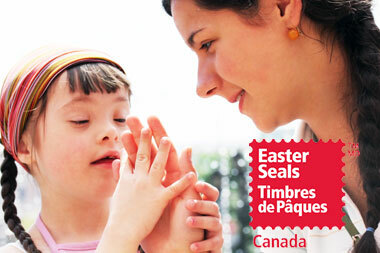 Without the aid of donations, the average cost to attend an Easter Seals camp in Canada would be over $2,100 per child. There are 16 Easter Seals camps located across Canada. The Kids To Camp program helps children with a wide range of disabilities, including autisim, diabetes, Down Syndrome, and many more.